It’s been a long wait since the band’s 2013 debut album The Good, the Bad and the Damned, but we now finally have a new release from this very individualistic black metal band. On A Wilderness Left Untamed the band have continued to develop and refine their rock-infected black metal, casting a blackened spell over their progressive, stoner, and Southern rock influences once more. No, this is not your standard black metal band. 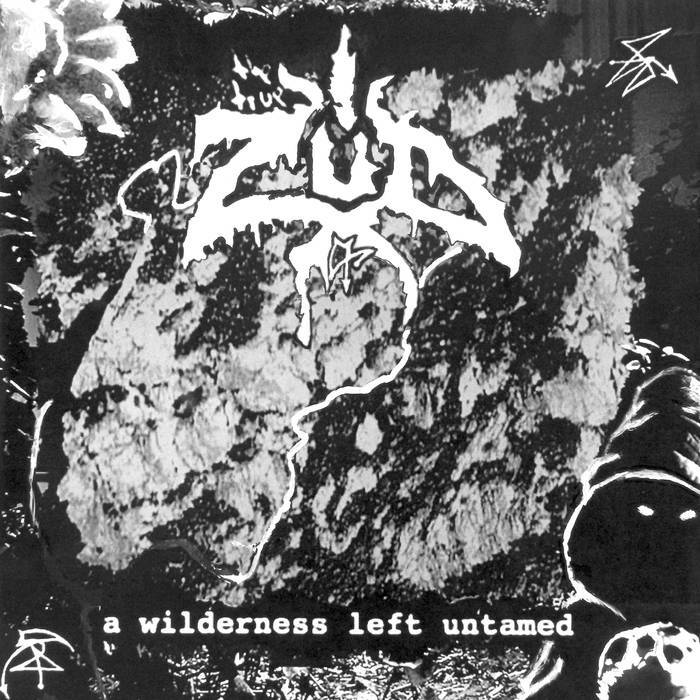 Combining both first and second wave influences with plenty of equally old-school rock and metal elements probably shouldn’t work, but Zud make it look like the most natural and easy thing in the world. I love how the music can go from blackened blast beats to a classic rock riff in no time at all, seamlessly blending genres that should probably be quite antagonistic toward each other by all rights. NWOAHM, blues, rock, it’s all here, all given a blackened coating, and all delivered with skill and more care and nuance than you might expect given the underground nature of the release. I want to particularly highlight some of the rock riffs and liquid rocking solos on this album. These stood out on their debut album for me, and the same is true on this latest one. When these are fully allowed to develop into extended psychedelic and progressive workouts, it’s a real treat. In many ways A Wilderness Untamed is the band’s debut album taken to its logical extreme; expanded, developed, refined, improved. The old-school feeling is strong with this material, in all aspects of its delivery. Although clearly black metal in its dark heart, when combined with the various and diverse rock influences, Zud create a hybrid beast that successfully manages to sound like itself and little else, especially anything else around these days. The music has an undeniable energy to it, with the black metal side of the band focusing on the first wave more than the second wave. The album as a whole has greater depth and variety than their already impressive debut, resulting in a release that’s even more impressive and enjoyable than I was expecting. After being away for so long the band have obviously been stockpiling their material, as there’s almost an hour of it on A Wilderness Untamed. Apart from the intro track though, there’s very little filler on here, and this is an album that’s worth taking the time to get to know. An extremely satisfying and charismatic listen. This entry was posted in Black metal and tagged Black metal, Blues, Classic Rock, First Wave Black Metal, Metal, NWOAHM, Progressive Rock, Psychedelic Rock, Rock, Second-Wave Black Metal, Southern Rock, Stoner Rock, Zud. Bookmark the permalink.